The Arabic-speaking Palestinians are famous in Israel. They do not make up the entirety of Arabic-speakers, however. 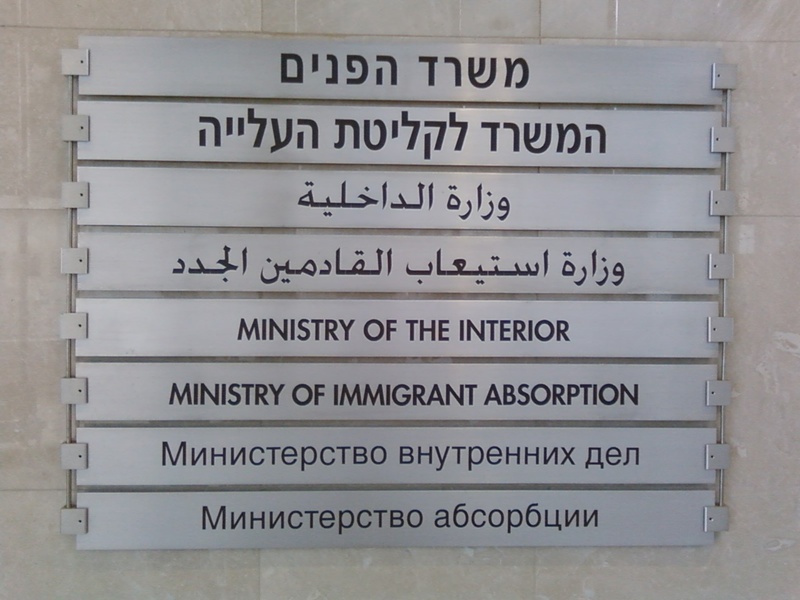 A large number of immigrants to Israel are Arabic-speaking Jews. They may come from Iraq, Yemen, or Egypt. An especially large number came from Morocco in the 1960s and 1970s. Each one of them brought his or her own dialect of Arabic, and those familiar with Arabic know that Arabic “dialects” could very well be considered different languages. The figure of Arabic-speakers is already more complex than it seems. The government works in Arabic for the sake of the Palestinians, but puts no effort into the many dialects of Arabic from its Jewish immigrants, some of which are quite rare and worth preserving. During the 6th-5th centuries BCE, in the Persian Period, Aramaic became the lingua franca of the entire Middle East. With the advent of the Greek and Arabic languages, however, the last speakers of Aramaic remained only in more remote, especially mountainous, areas. Speakers tended to be Jewish or Christian. Today, some Neo-Aramaic-speakers survive. Interestingly, distinct Jewish and Christian variants exist. Researchers have been working to preserve variants on this language from its last speakers. After the creation of the state of Israel, many Jewish Aramaic speakers came from throughout the Middle East. Prof. Steven Fassberg is one of these researchers, laboring against time to preserve the speech of their last speakers. While Christians have been working to preserve their dialects, Jews have been doing much less. The Jewish dialects will likely die with the current generation. The Yiddish language began in Central Europe among other German dialects. For many reasons, Jews started moving from Central to Eastern Europe, where this language stayed alive by incorporating more local features. Zionism and especially World War II quickly devastated the community of speakers to the extent that 2% of Israelis claim it as their מאַמע־לשון (mame-loshn, lit. “mother tongue”). I’m going to focus here on Yiddish in Israel. During the 1920s and 1930s a great debate arose in the nascent Jewish state among Ashkenazim (Central and Eastern European Jews). Religious Jews preferred to speak Yiddish in their everyday life, preserving Hebrew for religious life. Secular Jews, in contrast, wanted Hebrew to take over in all spheres of life. The Secularists led a violent campaign against the use of Yiddish. Anti-Yiddish groups would fight by breaking up Yiddish theater and firebombing Yiddish printing presses. They would shame Yiddish speakers, identifying their language with the galut or exile, claiming Hebrew to be the language of free Jews. When Hebrew University attempted to establish a chair in Yiddish literature, anti-Yiddish groups started riots in the streets. Not only did Israel not support the continuation of Yiddish, idealogical groups actively created the end of Yiddish language and literature in the country. Some ashkenazim today lament the loss of their culture in Israel. As the US works so hard to assimilate their incoming population to speaking English, so Israel does with Hebrew. As the US loses so much in the process in the ensuing generations, so must Israel, I imagine. Is it possible to bring people together around a common language without losing the languages of incoming immigrants? I’d like to think so. How do we unite people around language while fostering other languages? Do we have to choose one language? I think one language as a lingua franca is necessary for obvious communication reasons. Keeping other languages alive, though difficult, can be done.